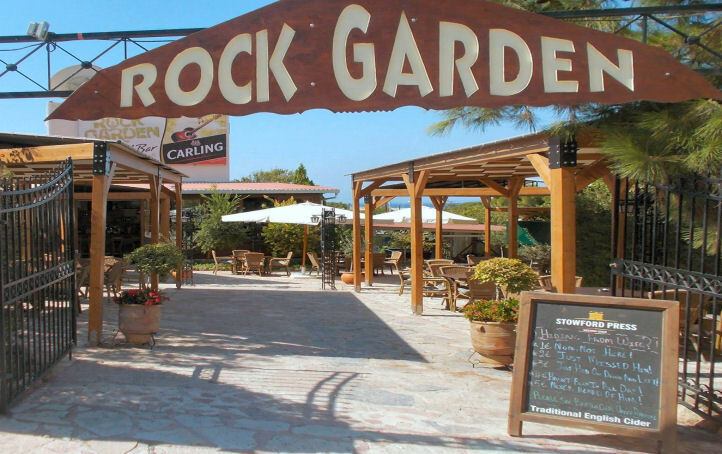 Rock Garden - Great Atmosphere, Amazing Cocktails, Live Music Nights. Best in Pefkos 2016! The Rock Bar is near Tipsy Cow on the junction which leads from the main road down towards Lindia Thalassa and Island Blue. The Rock Garden Bar is a great bar with warm friendly staff, good drinks and some excellent live music on a Friday night. It's a very popular choice and has evolved well over the last few years. It was voted Best Bar in Pefkos 2016 by our website followers. The seats are comfortable and the location is ideal especially if you are staying at Lindia Thalassa, Pefki Island, Finas or Thalia. Many call in with the intention of a quick drink before walking to the main strip but end up staying all night. Others start and finish every night here. We recommend the Mojitos here, they are sublime. The Black Sambukas are also a very nice touch! 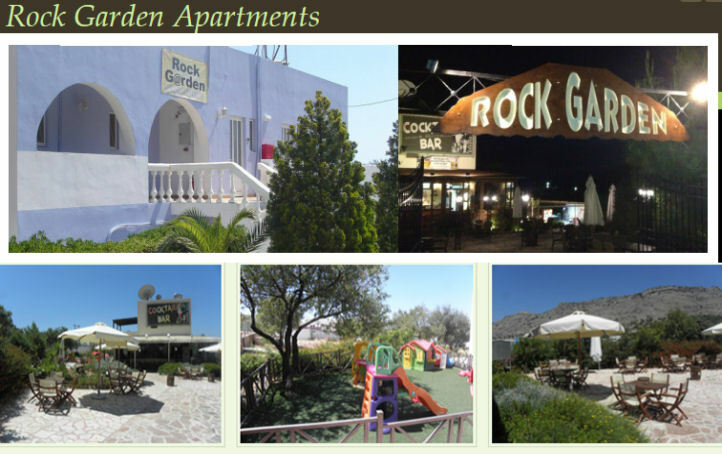 The Rock Garden also has it's own apartments to rent. More details about this winning bar can be found on the Rock Garden Facebook Page.